Mythical Games has released a new trailer for Blankos Block Party. Mythical Games released a new trailer today for Blankos Block Party, just in time for the SXSW Gaming convention in Austin, Texas (https://youtu.be/Zfsp0FQ5X8s). Blankos Block Party is an online virtual world where players will be able to collect Blankos, build their own block parties, create their own game experiences, and invite their friends to visit while jamming out to great music. Attendees of the SXSW Gaming Opening Party on March 15 will get to experience the first hands-on opportunity with Blankos Block Party, a showcase featuring a DJ set by world-renowned musicologist Questlove, a live hand-painting presentation by legendary artist Dan Lish, and could potentially become the single card holder of a one-of-a-kind ‘Golden Ticket’ Blanko. Blankos are unique digital collectibles that can be traded and customized. Some of these fun characters include ‘Billy Bones’ – a mischievous Blanko who likes to show off, ‘El Cha’ – a clueless but funny class clown, and ‘Peanut’ – a lovable clumsy friend who just wants to fit in. 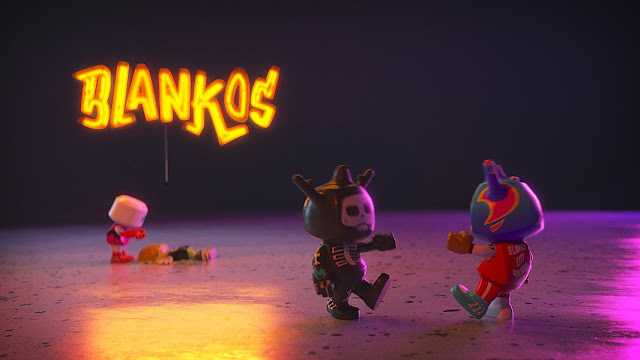 This year at SXSW Gaming, Blankos will release nine new limited-edition characters only available at SXSW, some of which are designed by artists such as Dan Lish and Jon-Paul Kaiser. Lead design for Blankos Block Party is being headed by Mythical Games’ Chief Creative Officer, Jamie Jackson (formerly of FreeStyleGames - DJ Hero, Guitar Hero). The game takes place in a casual multiplayer world styled like a giant block party, that includes a vibrant hub where friends can meet, go on scavenger hunts, take on daily challenges, and eventually take part in global online mini-games. They can even explore and play in other player designed block parties as well. For more information, visit https://www.blankos.com/.